Photo: Winnie the Whimbrel. Photo by Fletcher Smith. 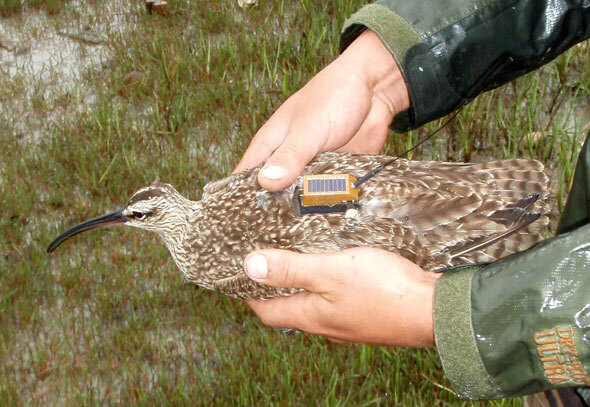 (Williamsburg, VA)— The Center for Conservation Biology at the College of William and Mary and The Nature Conservancy in Virginia have successfully used a state of the art, 9.5 gram, satellite transmitter to track a whimbrel (Numenius phaeopus) from Virginia to the MacKenzie River near Alaska. 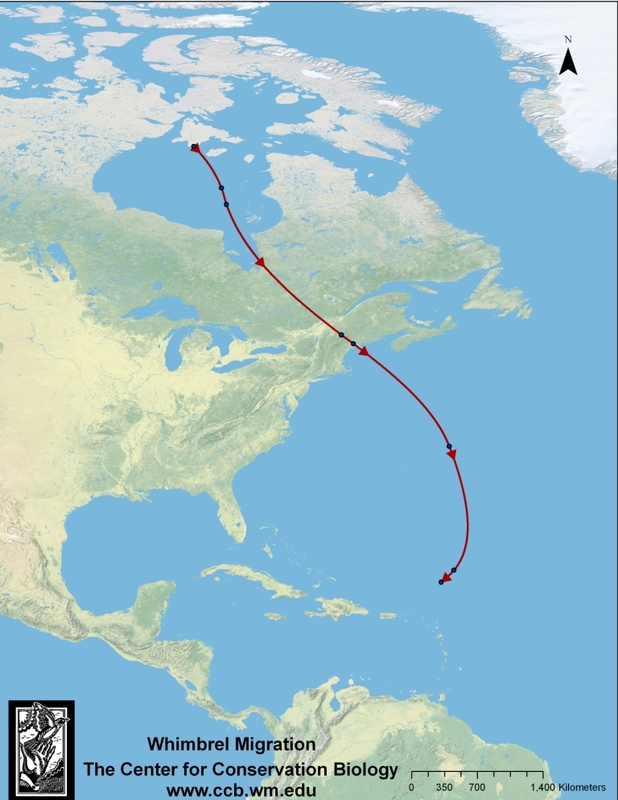 This event documents an unknown and entirely unexpected migration route between the mid-Atlantic coast and the northwestern Arctic. The bird completed this apparent nonstop flight of more than 5,000 km (3,200 miles) in 146 hours. This discovery sets a new distance record in the flight range of this species and highlights the hemispheric importance of the Delmarva Peninsula as a staging area for migratory shorebirds. The flight documented this spring challenges some long-held assumptions and raises several new questions about whimbrel ecology. The whimbrel is a large, holarctic, highly migratory shorebird. The North American race includes two disjunct breeding populations both of which winter primarily in Central and South America. The western population breeds in Alaska and the Northwest Territories of Canada. The eastern population breeds south and west of Hudson Bay in Manitoba and Ontario. 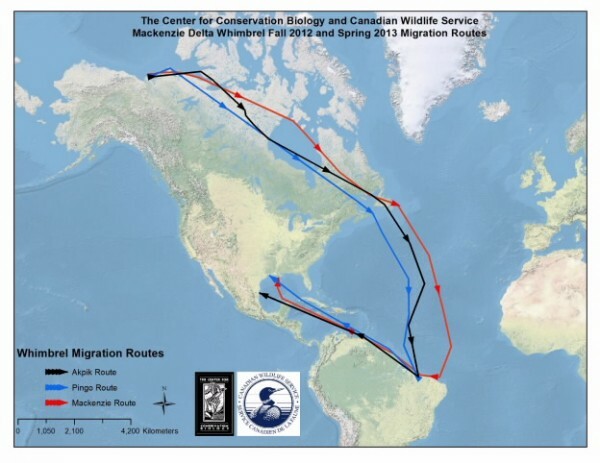 It has generally been believed that the western population follows a Pacific Coast migration route between breeding and wintering areas and that the Hudson Bay population follows an Atlantic Coast route. Both populations are of high conservation concern due to dramatic declines in recent decades. For more than a decade, scientists have believed that the seaside of the lower Delmarva Peninsula in Virginia played a significant role in the life cycle of the whimbrel. During spring migration in the mid-1990s, Bryan Watts from the Center for Conservation Biology at the College of William and Mary and Barry Truitt of The Nature Conservancy documented the densest concentration of whimbrels ever recorded in the western hemisphere within the barrier island lagoon system of the lower Delmarva Peninsula. Since that time, it has been believed that the site represents a critical, coastal staging area where birds feed on the staggering numbers of fiddler crabs that inhabit the lagoon system and build up energy reserves before making their last overland flight to the breeding grounds. However, it has always been assumed that the birds staging along the lower Delmarva were exclusively from the Hudson Bay population. 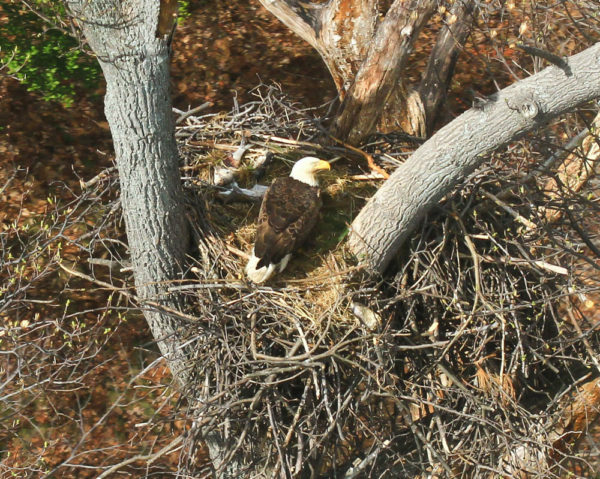 The flight documented this spring has forced a change in thinking regarding the origin of birds using this stopover site. During the spring of 2008, the Center for Conservation Biology has collaborated with The Nature Conservancy to investigate the stopover ecology of whimbrels along the Delmarva Peninsula. The study has included aerial surveys to estimate seasonal numbers, traditional transmitters to examine stopover periods, and satellite transmitters to document migration pathways and breeding destinations for birds leaving the site. 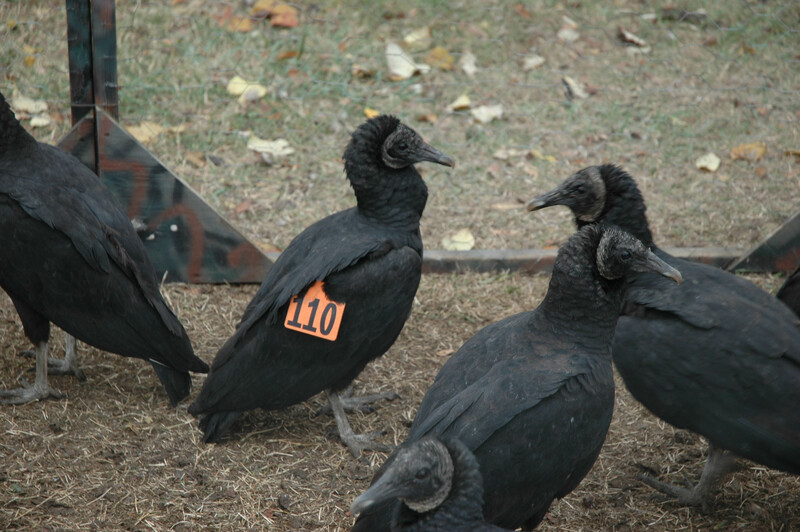 The female that flew to the MacKenzie River was captured on 20 May, 2008 and fitted with a 9.5 gram, solar-powered, satellite transmitter manufactured by Microwave Telemetry. The transmitter was attached using an innovative Teflon harness. The bird left the study area on 23 May flying northwest covering more than 5,000 kilometers (3,200 miles) in a maximum of 146 hours. The bird sustained an average flight speed of 22 mph for 6 days. The seaside of the Delmarva Peninsula has been recognized as a globally important bird area, a hemispheric shorebird reserve, and a UNESCO biosphere reserve. The discovery that whimbrels use the site as a terminal staging area before embarking on a transcontinental flight suggests that the site is uniquely suited to provide the tremendous amount of energy required to prepare birds for such a flight. The whimbrel fitted with a transmitter weighed an astonishing 640 grams at capture. This is 180 grams (40%) more than the heaviest individual reported in the literature. Continued research planned by the Center for Conservation Biology and The Nature Conservancy in Virginia will investigate whimbrel stopover ecology and the broader strategic importance of this site to whimbrel populations. 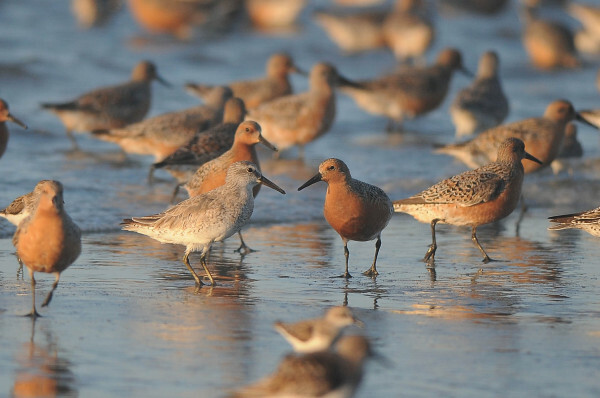 This work will inform future conservation efforts focused on shorebirds and stopover habitats.